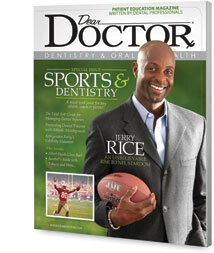 Dear Doctor - Dentistry & Oral Health is a magazine containing 68 pages of up-to-date, accurate dental information encompassing all topics related to dentistry. Stand out from the crowd! Your office can be featured on the first 2, 4, or 8 pages of the magazine. Bookmarks are both practical and useful and can serve many purposes. A Branding Tool - Promote your office or website. 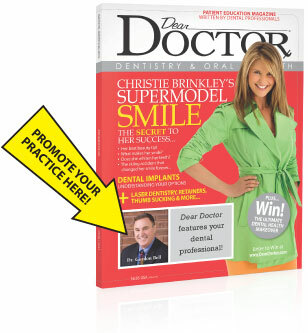 Bookmarks provide an excellent vehicle for word-of-mouth marketing as patients pass them along to friends and family. Trifold brochures provide detailed information about you, your practice and the services you provide. They can match the look and feel of your website or magazine brochure. Postcards make an excellent addition to your marketing mix.They are simple to create and designed to promote a special offer, discount or coupon. They can be handed out in office, mailed to patients or included in magazine mailings.